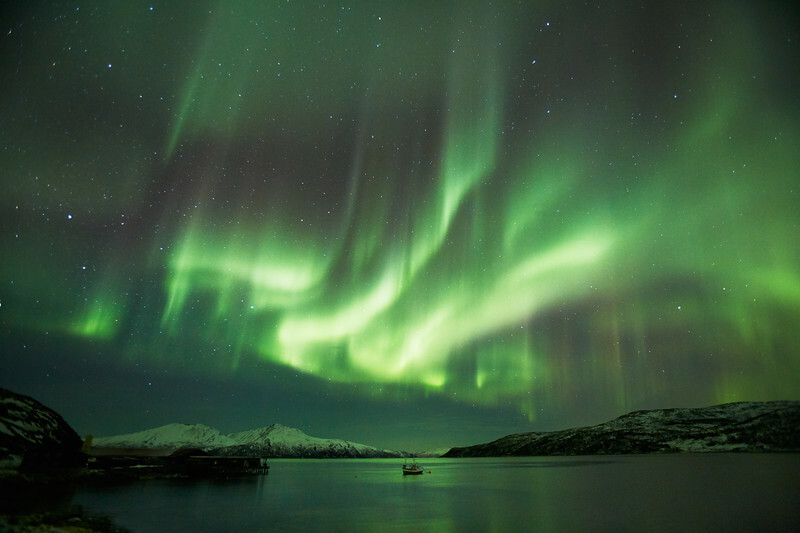 I cannot imagine what the first ancient Nordic people could have thought about the magnificent auroras at the time. Was it the same awe that struck me when I saw the Northern Lights for the first time or fear that Gods would unleash their wrath on Earth? Even backed with scientific explanations, it's a phenomenon hard to believe until you actually see it with your own eyes. It is nearly impossible to describe how little you feel under this huge moving green drape covering the sky from one end of the Earth to the other. Trömsø is a prime location to enjoy such incredible scene, close to the Artic Circle, free of any light pollution and with beautiful fjords reflecting the eerie green colour.